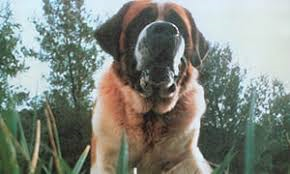 I love a good horror/thriller, but watching the movie “Cujo” the other day gave me chills. Not because I am scared that some dog is going to bite me or tear me to bits, but because the whole movie would have been a different story if poor Cujo had just had his Rabies vaccine (but I’m not sure that would have made for a great thriller- dog gets bit by bat, is current on Rabies so does not get sick, nobody dies and car gets fixed- kinda boring). But really all that dog needed was a stinkin’ vaccine and the whole mess would have been avoided! Rabies is a very nasty disease and can cause all sorts of erratic behavior, and like Cujo, animals can become aggressive. Most people think that since rabies prevention plans in the US are so good that they don’t have to worry about rabies, but it is still out there. Rabies is caused by a virus that can attack the nervous system of mammals, so unless you are a bird, a fish, or some other non-mammal, you are at risk. The virus is spread through saliva and is often introduced by a bite from an infected animal. In the US it is most prevalent in wild mammals, most commonly skunks, bats, raccoons, coyotes and foxes. Always view wildlife from afar, especially if it seems like it is acting abnormally and avoid leaving food and garbage out where it may attract wildlife. The domestic animal population is also susceptible and by far the most commonly infected animal is not the dog but the cat. In 2016 about two times as many cats as dogs were tested positive for rabies. The US is lucky though; we have a fairly good vaccine protocol established for pets and livestock (there are vaccines labelled for dogs, cats, ferrets, horses, cattle and sheep).We even have oral rabies vaccines available for our wildlife populations. However, other parts of the world don’t have these medicines available to them and about 59,000 people a year (most in Asia and Africa) die from rabies. In those places most infections occur due to exposure to rabid dogs. As I mentioned before, rabies enters nerve cells and causes a severe neurologic disease. Behavior changes, aggression, paralysis, difficulty swallowing, drooling and seizures are the most common clinical signs associated with the disease. Unfortunately, once clinical signs develop the disease is almost 100% fatal. The only way to confirm rabies infection is via a post mortem microscopic examination of brain tissue. I don’t know about you, but the nearly 100% fatal part makes me not want to get infected with rabies. So how do we prevent it? Vaccines of course!! Vaccinate all pets, both indoor and outdoor. Why?! 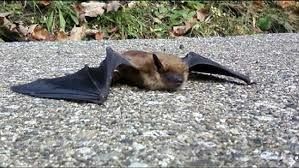 A rabid bat may fly anywhere, and who better to find and play with a sick bat that is flopping around than your beloved house cat. Here in Oregon, rabies vaccines are required for all dogs starting at 3-6 months of age, some counties even have a rabies requirement for cats. Though Oregon overall has a lower incidence of rabies than some states like Texas, New York and Virginia, bats from Benton, Crook, Clackamas, Deschutes, Jackson, Josephine, Lane, Lincoln, and Linn Counties have tested positive for rabies in 2018. Make sure your pet is current on that vaccine!! If an unvaccinated pet is exposed to a positive animal, per Oregon law it must be quarantined for four months or euthanized; that is just sad and scary. September 28 is World Rabies Day. I love to make it my goal that every one of my patients be current on their rabies vaccine by that date! I would never want to see the real life Cujo, so please vaccinate your pets! !